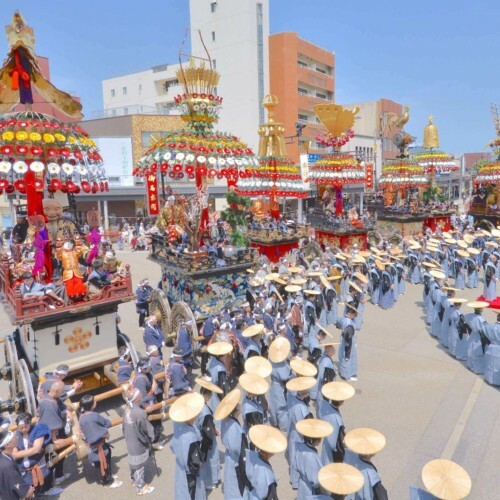 The Hatsuichi Matsuri of Maebashi City is a nostalgic tradition that has been continued since the early 1600's. 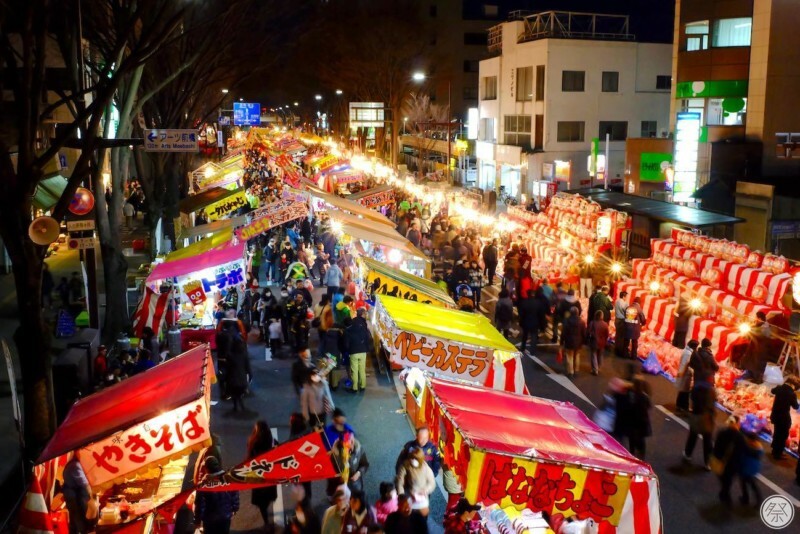 Over 600 shops sell Daruma (Dharma) dolls and other good-luck objects at this market that bustles with visitors late into the night. The Daruma doll is a round, appendage-less doll of he founder of Zen Buddhism, Dharma. most commonly made of paper-mache. Because of it's properties to stand back up when pushed over, it represents the ups-and-downs of life and has become a good-luck charm for health and safety in the home, among others. 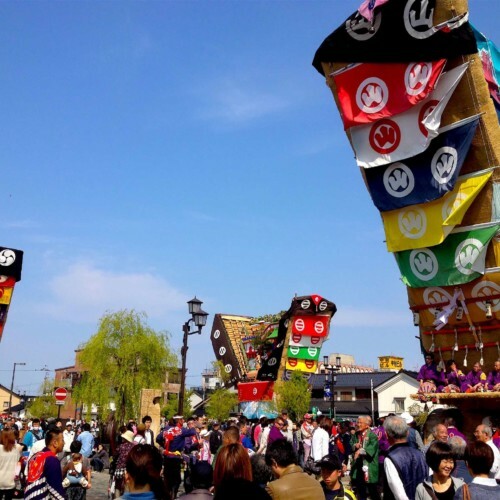 The festival starts with a bonfire ritual where visitors bring their old Daruma dolls, give them a final "thank you" for the past year and return them to the heavens through the help of the god of fire. 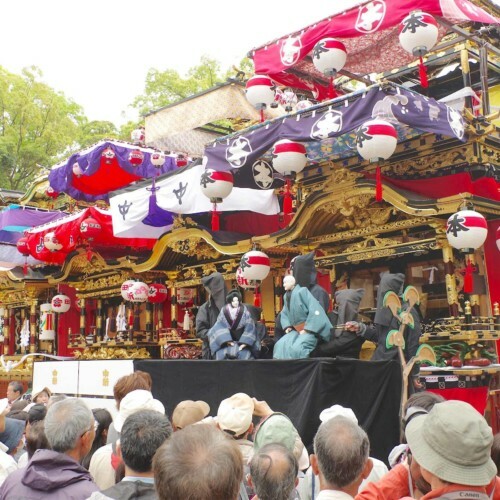 After that, the festival reaches its climax as the mythological goblin known as Tengu clears the path of bad omens for the deity as it is carried by the locals in the mikoshi (portable shrine) during the high-spirited parade and through the shopping district, featuring loud chants by locals and even a dancing lion. Traffic is stopped and market stalls line the center shopping district and the 500m long main road that runs next to it to make a joint market venue for this early-year festival. 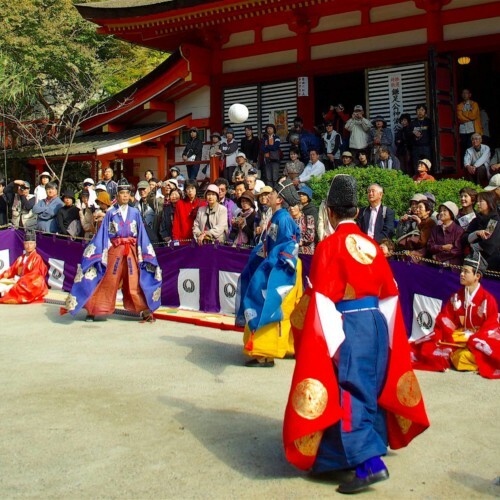 Over 600 open-air shops sell things from Daruma dolls and Maneki Neko (cats doing a welcoming gesture with their front paw) dolls, potted plants and many other good-luck objects. Many of the objects being sold have no price tags, so feel free to try out your bargaining skills. Get your hands on a traditional good-luck charm and pray for safety in the home and business prosperity! 2. Warm up by the bonfire for more good luck! 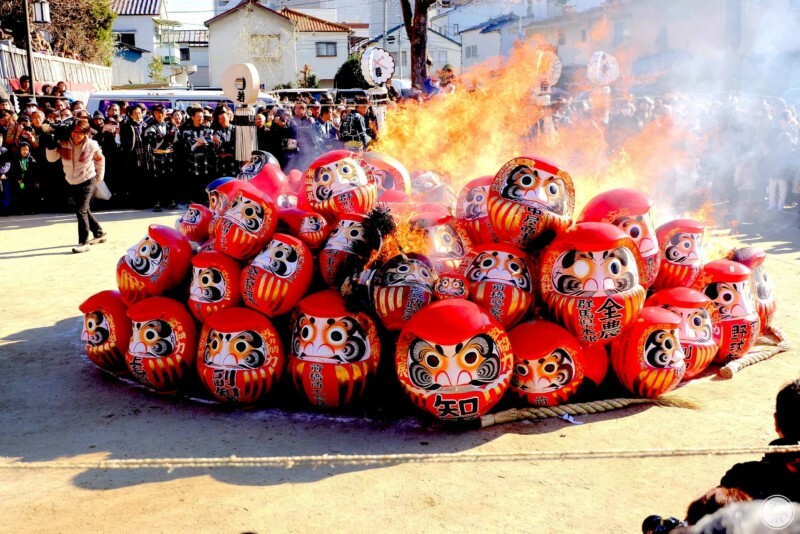 The Daruma dolls from the past year are all collected in the grounds of the Maebashi Hachiman-gu Shrine and burned in the ritual bonfire held from 10:30 am to 11:30am. 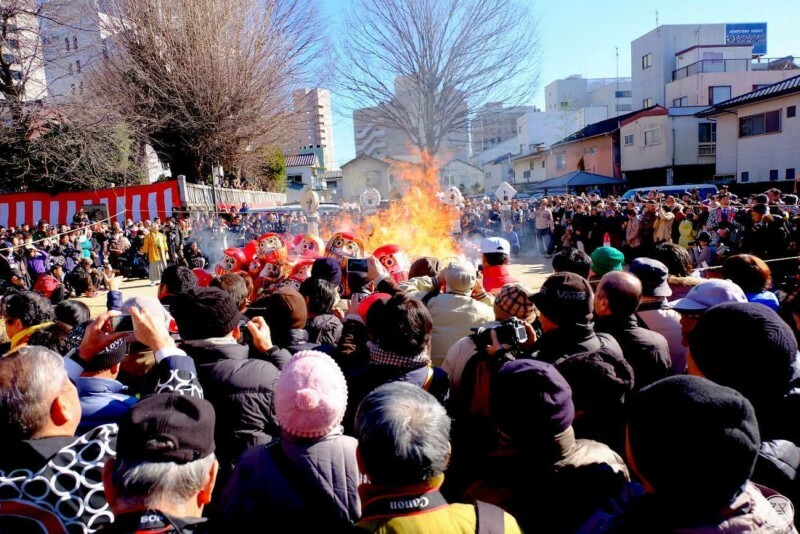 It is said that if you warm up by this fire you will spend the coming year in good health. 9:30am to 9:00pm, no cancelations due to rain. 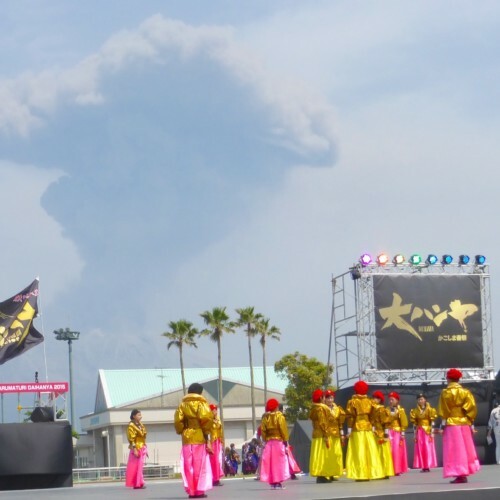 Held annually on same date. Take the bus from Maebashi station heading towards Fujimi Onsen, get off at Sakashita, 1min walk from bus stop.